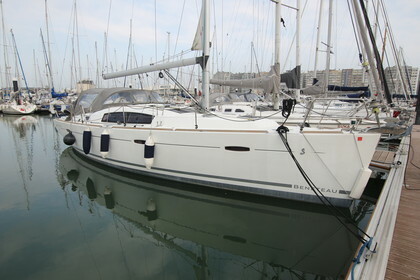 SOLD: "Ara-Dlo" is a Beneteau Oceanis 40 with 2 cabine layout. With only 2 cabines you get more luxury on board. The back cabine is big and confortable. The Bathroom is twice it's size with a separate shower. The galley feels like a real kitchen with a lot of working space. The boat comes with a tender and outboard engine. It has a full battend mainsail, 2 genoa's and a gennaker. It's very well maintained. The cockpit is wide and confortable with the cockpit table in the middle. The 2 steering wheels make it easy to navigate. On both sides you have a good overview of all instruments. You can close the cockpit with it's cover during bad wheater.